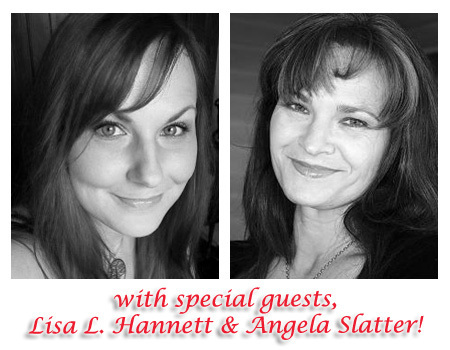 This month's episode of The Writer and the Critic is the last of those recorded around Continuum 8 back in June, wherein your hosts, Kirstyn McDermott and Ian Mond, invite themselves back to the hotel room of the highly esteemed Drs Brain, Angela Slatter and Lisa L. Hannett, for literary fun and merriment. The finer points of name pronunciation and resultant avoidance of the wrath of angry grannies is duly noted, followed by some candid behind-the-scenes chat concerning Angela and Lisa's co-written mosaic novel, Midnight and Moonshine, due for release from Ticonderoga Publications in November 2012 and available for pre-order right now. There might also be significant -- but highly esteemed -- blushing. Discussion then moves on to the the two books selected for dissection on the podcast. 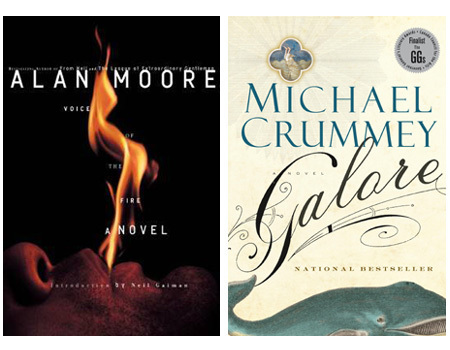 Angela's pick was Voice of the Fire by Alan Moore (begins around the 26:00 mark) while Lisa chose Galore by Michael Crummey (59:00). Scalpels are sharpened and edifying evisceration is conducted with much exuberance. If you've skipped ahead to avoid spoilers, come back around 1:33:00 for some final remarks. Next month, the podcast is back in real time with Kirstyn choosing Bitter Greens by Kate Forsyth for discussion and Ian bringing Osama by Lavie Tidhar to the table. This time, as the novels were picked three months in advance, neither of the pair has actually read their selection ... so anything might happen. Read ahead with them and join in the spoilerific fun!